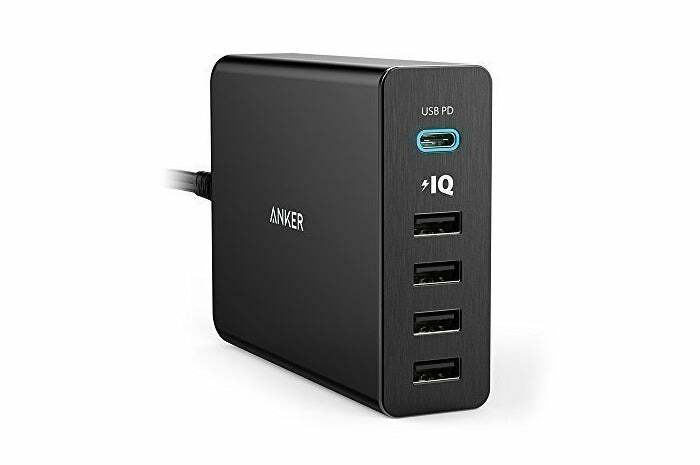 Today on Amazon you can get an Anker 60W wall charger for $33 instead of $50 with five USB ports, plus Qi-compatible wireless charging pads and a Type-C wall charger. Anker’s offering four chargers on sale for their lowest prices yet, but you’ll need to act fast. They’re Amazon’s deal of the day and will disappear tonight. On tap: two Qi wireless charging pads, a USB Type-C wall charger, and a combination Type-C and Type-A wall charger. The best deal of the bunch is Anker’s 60W Wall Charger PowerPort+ for $33—about $17 cheaper than its usual $50 price. The charger features four Type-A USB ports and one USB Type-C connection that supports Power Delivery fast charging, making it an ideal choice for compatible MacBooks and other devices that support the technology. 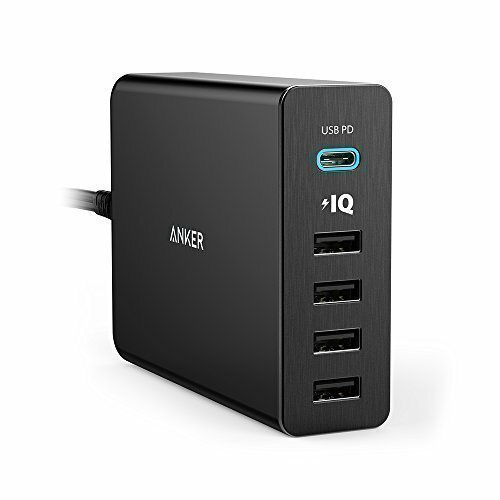 The four Type-A ports use Anker’s PowerIQ technology to deliver as much charging power as possible to connected devices, up to 2.4A per port. In the box you get the Anker PowerPort+ and an AC cable, and the charger comes with an 18-month warranty. In addition to the wall charging PowerPort+, there’s Anker’s 10W Qi-compatible wireless charging pad for $17, or roughly $9 cheaper than the most recent price. There’s also a 5W version available for $15—about $6 cheaper than usual. Anker’s Type-C wall adapter is also available for $18 instead of the more recent $28. These are the lowest prices we’ve seen for all of these Anker chargers, based on CamelCamelCamel data, and hundreds of Amazon user reviews rate than all at an average of 4/5 stars or higher. Snag them sooner than later if you’re interested, though. Amazon’s daily deals don’t last long.